Attention - You may need to complete and upload supplementary documents during the application process. If you do not have an eTRAKiT account, you will need to set up an account. 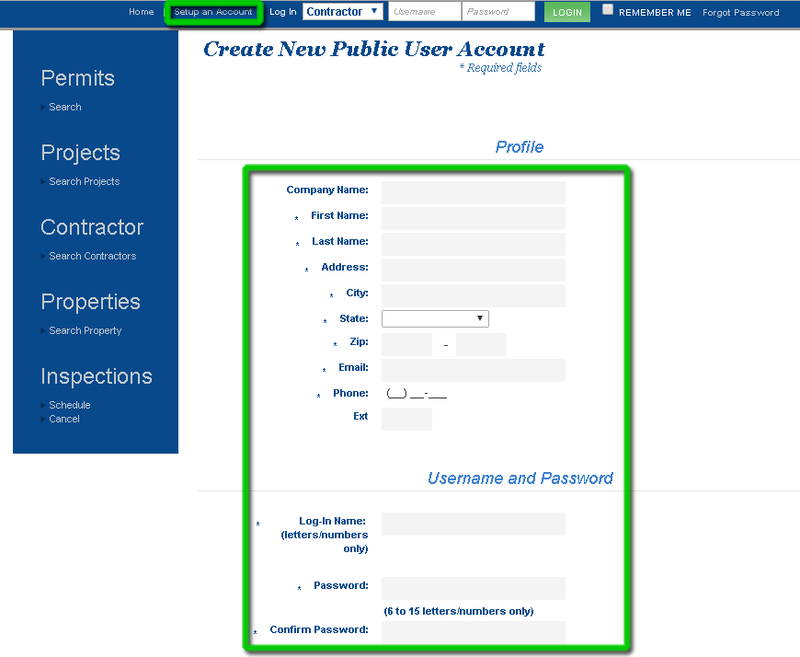 To do so, you will need to select "Public" in the log in window and select a username and password. Sign in as a Public User with your eTRAKiT account.